A new year is upon us. What will 2016 bring? Well, my household is in serious need of some healthy eating/ detox. The holidays brought us lots of junk food, too much wine, and lots of eating out. Add in a good dose of sleep deprivation and what’s left is sniffly kids and cranky parents. Hence this weeks menu: Lots of veggies and homemade goodness. 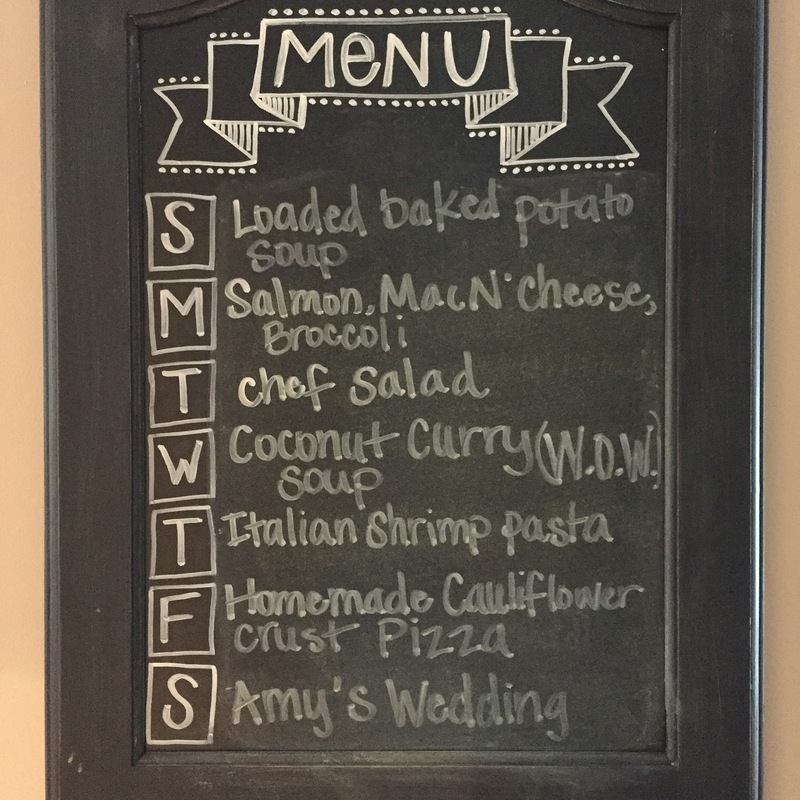 After our Saturday wedding we’ll be starting the Whole 30… At least that’s the plan. Hope your 2016 is off to a fabulous start!